I have had couples ask me what they should wear to their engagement session so I figured I’d write a little post to help people out with this. You don’t need to go crazy. Some people feel like they should totally dress up and that’s fine if that’s what you want to do, but it isn’t necessary. I believe you should be you but the best you. If you aren’t comfortable, then it will probably show and we don’t want that. Wear clothes that compliment each other but don’t match from head to toe. Don’t wear anything too busy, try and wear solid colors or patterns that aren’t distracting or bright. You two are the most important part of the pictures not your clothes. Think about where you are going for the pictures and how the colors and clothing style will look there. If you’re taking all of your pictures in a park during the fall, try to wear fall colors that compliment the scene but not blending in either. 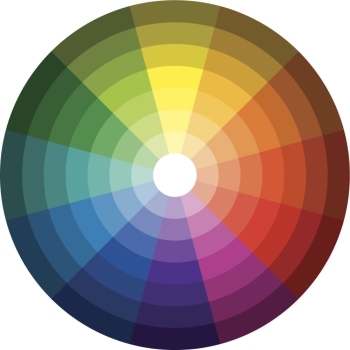 It may help to look at a color wheel when thinking about color choices. Colors that are opposite of each other compliment each other. Just remember to try and use toned down colors, pastel and neutral colors won’t be distracting like vibrant colors. Adding a pop of colors here and there with your accessories are a good idea, just to give a little something without taking away from the picture. Bringing a change of clothes is a good idea but try and make sure both outfits will flow with each other throughout the photo collection. Don’t drive yourself nuts, in the end you really just want to be you. If you are all about the brightest clothing, then wear it. I just want to be helpful to anyone having a hard time deciding on what to wear.